Name the fastest-selling used vehicles in America. Your short list must include the Toyota Corolla and/or Camry, right? Or a Honda Civic or Accord? Nissan Altima? Ford F-Series pickup? Chevrolet Malibu? Kia Soul? Toyota Prius Plug-in Hybrid sells faster than any other used vehicle. The three fastest-selling used models of more than 400 ranked by average days on the market are the Toyota Prius Plug-in Hybrid (19.7 days), Nissan LEAF electric (24.3) and Tesla Model S electric (26.1), according iSeeCars.com, a consumer-oriented automotive data and research company. That compares to an average of 42.4 days on the market for all vehicles and 55.9 to 72.3 days for the 20 slowest-selling vehicles. iSeeCars analyzed more than 2.2 million used cars from one to three years old sold from January through May of 2016 and found not only that the three vehicles above ranked first through third, but that hybrids and electric used cars dominated the top 15 fastest-selling vehicles. Overall, half of the top 10 fastest-selling used cars are hybrids or electrics as are seven of the top 15. Ranking four through six, respectively, they are the sporty Hyundai Veloster Turbo hatchback (27.8 days on the market), and the Infiniti QX60 luxury crossover (27.9) and Infiniti QX56 (29) full-size luxury SUV. Other vehicles that don’t hang around dealers’ lots very long include four more hybrids – No. 7 Lexus CT 200h hatchback (29.4 days), No. 8 Toyota Highlander Hybrid crossover SUV (29.6), No. 12 Toyota Prius (30.5) and No. 13 Lexus RX 450h (30.5). “For these fastest-selling cars, the market may have hit a sweet spot where the pricing has dropped enough to make these cars more desirable,” said Phong Ly of iSeeCars.com. And, of course, like most used cars, they’re also less expensive than when they are purchased new. The iSeeCars.com analysis of year-over-year data for one- to three-year-old used cars indicates that electric car prices have dropped by $3,830 on average driving an eight-day decrease in days on market, followed by a decline of $1,214 for plug-in hybrids, $889 for hybrids and just $242 for gasoline vehicles. Rounding out the gasoline-powered vehicles on the fastest-selling list and their average days on the market, iSeeCars.com reported, are No. 9 Lexus RX 350 luxury crossover (29.7 days), No. 10 Mazda Mazda2 subcompact (29.9), No. 11 Lexus IS 250 luxury sport sedan (30.1), No. 14 Lexus GX 460 luxury SUV (30.7) and No. 15 Honda Civic compact (31.1). 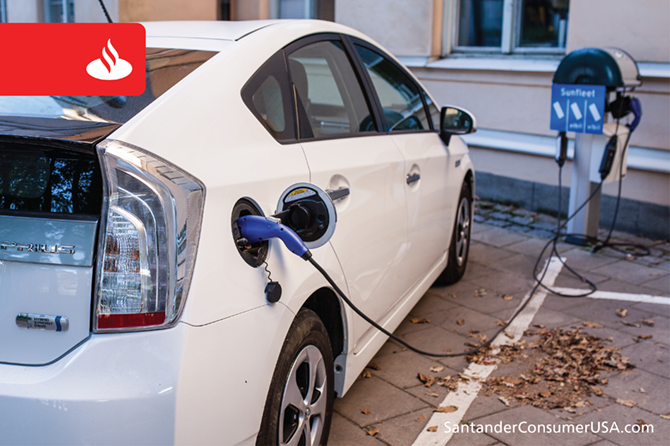 For consumers, the quick sale of used alternative-fuel vehicles is both a boon and a hindrance. So you had better be quick, indeed.